LestShave Pace 6 Pro Kit comprises of a Pace 6 Pro Razor with FREE Razor stand, Shave Foam and a Razor Cap. 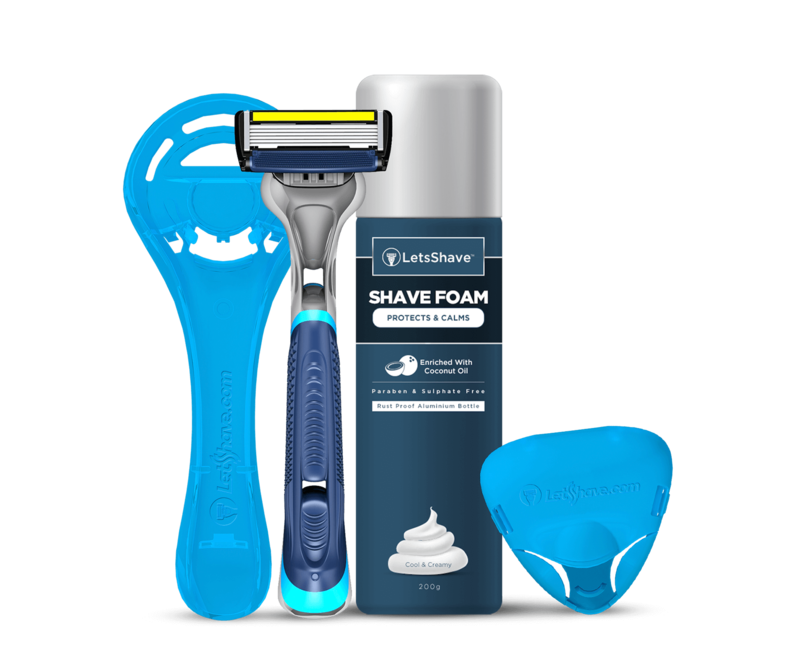 LetsShave is providing you with the world’s first 6-Blades Razor. It has a smaller gap between the blades allowing the closer than the closest shave. Comes with a trimmer edge to shave & trim hard to reach areas of the face. The Pace 6 Pro handle is providing you maximum grip with its rubber-texturised grip pattern. Also, it is compatible with all the Pace razor blades refills. But the Razor Stand is not compatible with Pace 2.